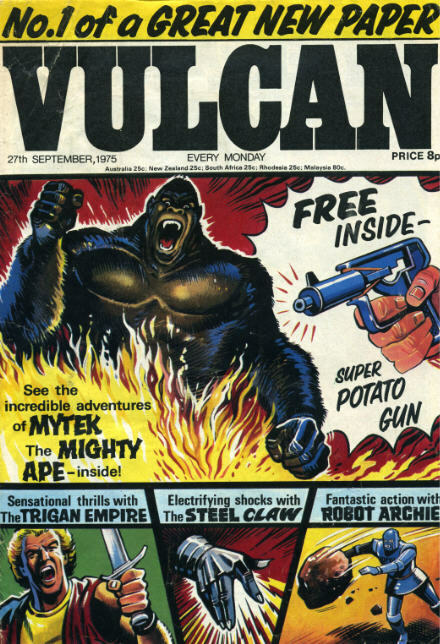 Vulcan was a weekly UK comic that lasted for a mere six months from September 1975 although I understand it had a “soft” trial launch in Scotland earlier that year. Despite benefitting from slightly better quality paper than many of the comics of the time it failed to find a large enough readership to prevent it merging with Valiant in 1976. It contained nothing but reprints…many of which were by then 10 years old. I’d already followed “The Steel Claw” in Valiant. “The Trigan Empire” had appeared in Ranger and then later in Look and Learn through the 1960s. Note the free gift of a “Potato Gun”. Things like that always enticed me to purchase first issues. The various prices on the cover confirms that UK comics were sold in all english-speaking territories around the world except the USA. 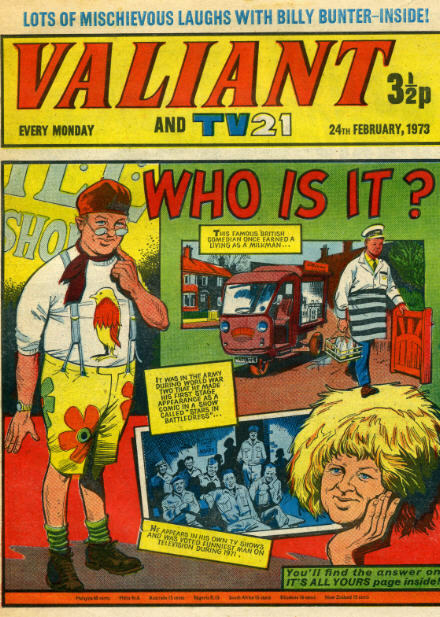 “Valiant” was a weekly “boys paper”, as they were quaintly known in those days, published between approx 1963 and 1976 in the UK. 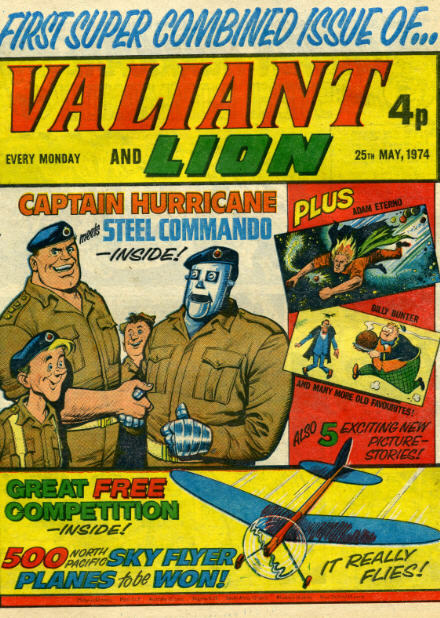 Some of the legendary characters within its pages were Captain Hurricane, Billy Bunter, Kelly’s Eye, The Wild Wonders, and my personal favourites The Steel Claw and The House of Dolmann. 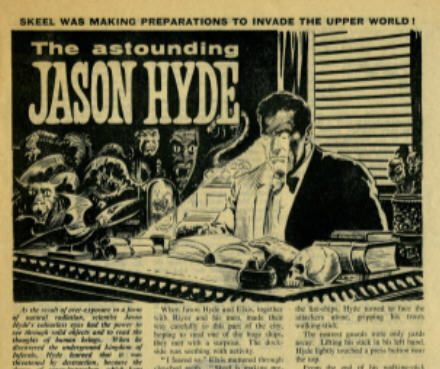 Early issues sometimes had text stories such as this. When circulation declined it was the practice to combine the poorer-selling title with another from the same publisher. As many comics were delivered by the local newsagent this combining of titles meant (hopefully) no fewer sales for the shop or publisher. This happened frequently in the 1960s and 1970s. 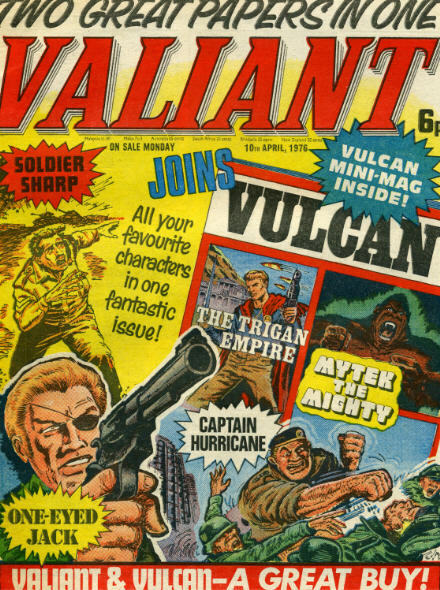 Valiant paired with or took over Knockout in 1963, Smash in 1971, TV21 also later in 1971, Lion in 1974 and Vulcan in 1976. A few of these characters appeared rcently in the DC comic Albion. 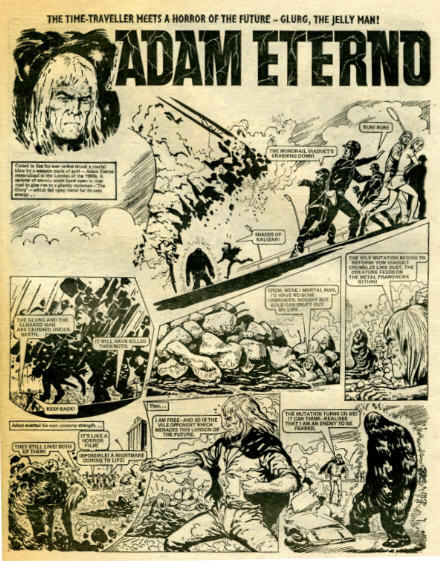 One that seems to have been forgotten is Adam Eterno. Here he fights Glurg the Jelly man !! 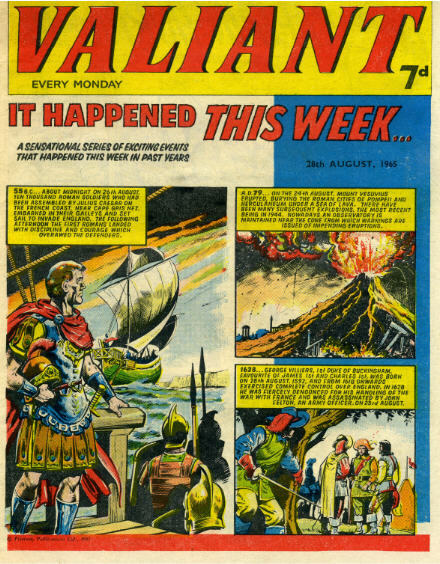 Finally Valiant itself was absorbed into Battle in the autumn of 1976. 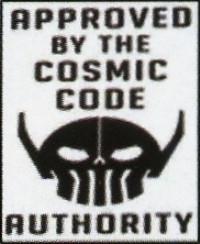 At about this time the science fiction anthology comic 2000AD began. I think 2000AD must be about the last “boys paper” still being published in the UK in 2008. And still set in the future even though its already 8 years in the past ! !